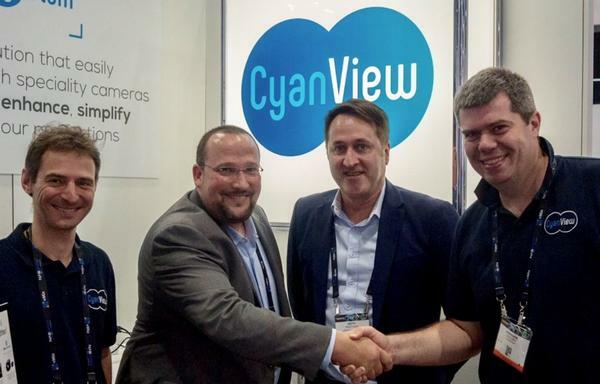 April 2018, Las Vegas – CyanView announced today Professional Audio & Television as their exclusive distributor for Australia and New Zealand. CyanView is a Belgium manufacturer designing and producing Cy-Stem, a universal mini-camera system consisting of an RCP control panel and smaller hardware modules that improve and simplify the production workflow. By leveraging IP technologies to power and transport data, control, audio and video over an IP network, CyanView’s solutions address three stages of the broadcast acquisition: control, image quality and video transport. Its universal RCP controller is designed for vision engineers and interfaces with mini-cameras, lenses and other accessories. At the heart of CyanView’s IP-based Cy-Stem product range is the Cy-RCP, a universal remote-control panel that enables the control of multiple cameras. It is supported by the Cy-CI0 which enables control over IP of most cameras, lenses and other accessories via a range of protocols. The range also includes the Cy-GWY gateway which features the open Ember+ control protocol, and provides an interface to a VSM (Virtual Studio Manager) and video processors such as the Lawo V__pro8 . Its WAN capability enables remote production. PAT has demo products available in Australia and New Zealand – so for an obligation free demo please contact the PAT team sales@proaudiotv.com.au today! David Bourgeois – Owner of CyanView, Patrick Salloch – MD at PAT, Keith Prestidge – GM at PAT and last but not least, Stephane Ducobu – VP Sales and Marketing at CyanView.